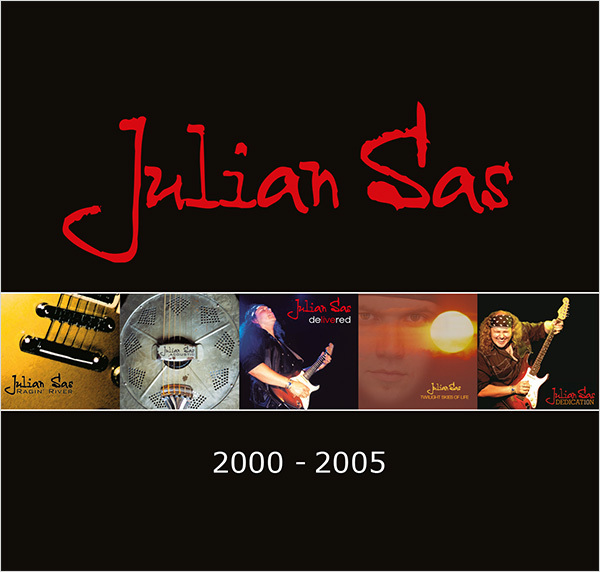 Release date 16 March 2018…the long-awaited second box-set of The Julian Sas Band. All music from 2000 until 2005 brought to you in this 7cd box-set. Two double live cd’s, A solo live cd and two studio albums on cd. Available in all good record stores and online. We are very proud of this boxset, proud of the music and proud of the history, the road seems to go on forever……as always hope you enjoy the music. Thanx, the band…..